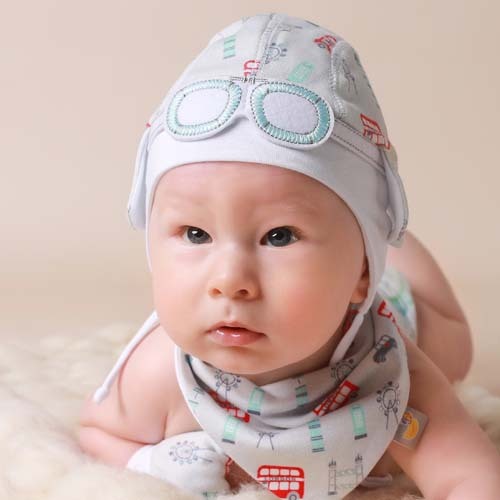 New this autumn is our adorable Unisex Baby Gift Set of Baby Hat, Bib and Mittens with an all-over London themed print in pastel grey & red, it comes in one size 0-6 months and it is packaged in a complimentary, beautiful gift box with a branded logo on top. 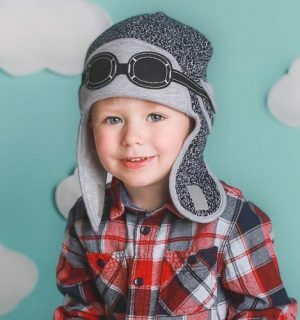 This beautiful unisex baby gift set consists of a matching hat, reversable bib and mittens.The unisex baby hat is beautifully made with little driver-like goggles attached on top of the hat and the lining has an extra layer of cotton for extra comfort on your baby’s gentle skin, it looks so cute on small babies, both boys and girls. The mittens come with a popper to clip together, useful when washing or storing in a bag. 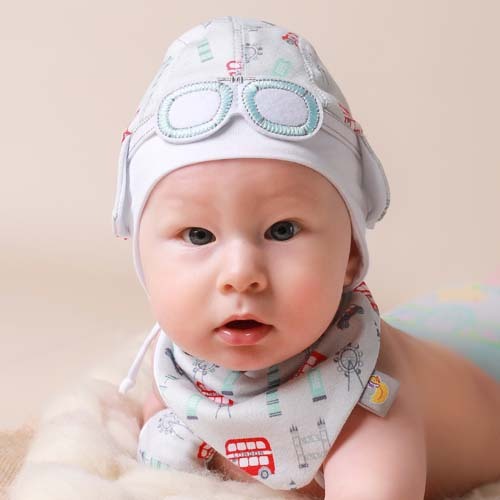 This unisex baby gift set is the ideal practical gift for every day wear. The 100% interlock cotton fabric gives that extra stretch and comfort as your baby starts to move and grow. 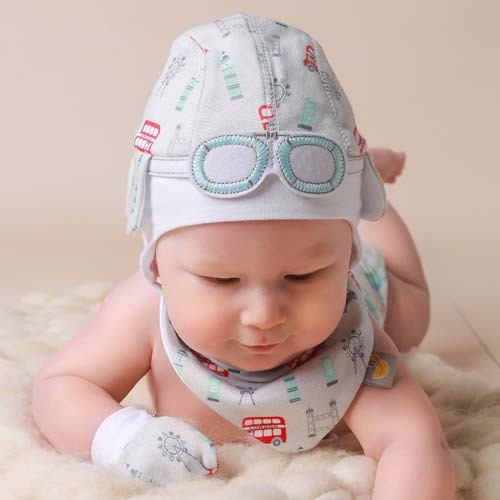 The adorable London themed print comes in three colour variations to choose from – blue/red, pink/red and grey/red.